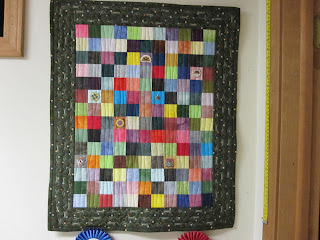 My friend, Sue, gave me these wonderful hand-dyed fabric squares to make this quilt to display the pins I get from the quilt shows I go to. I think she came up with a wonderful idea. Of course, you can see I have lot more quilt shows to go to to fill this thing!! 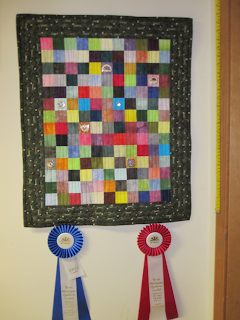 I really like that I have someplace to display my ribbons too. My second place ribbon from two years ago has just been sitting in drawer. How did I hang that you ask? 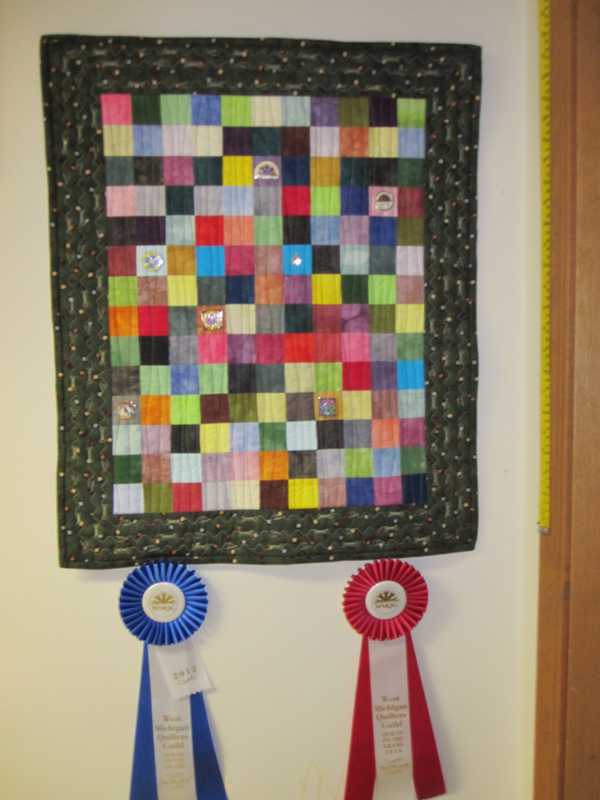 I used the new magnetic hanging system I picked up at the AQS quilt show this summer. You don't have to put any holes in the wall at all! 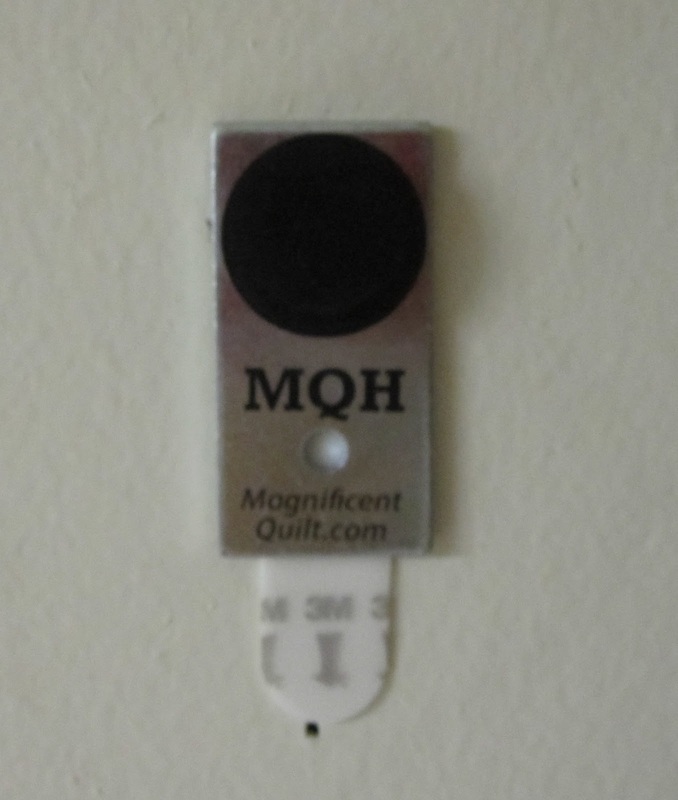 It uses the 3M command strips and a very powerful magnet. 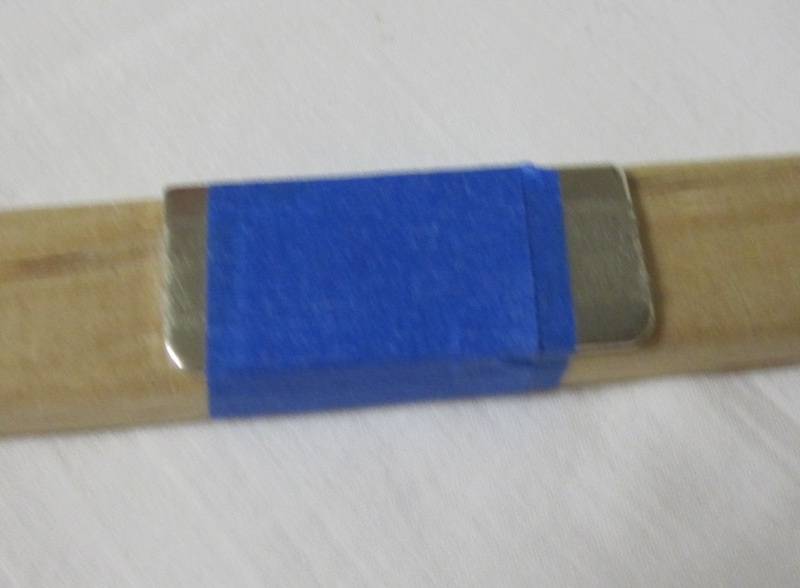 Then attach some metal to the wood stick your going to use in the sleeve or you could use a metal rod. It is just amazing how well it holds up your quilt. 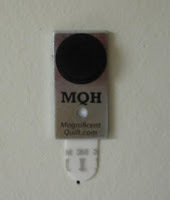 I can't wait to try it on some other quilts throughout the house. I enjoyed quilting this project, on the squares I did a mindless horizontal stitch. I say mindless because I did not worry about keeping my lines straight. 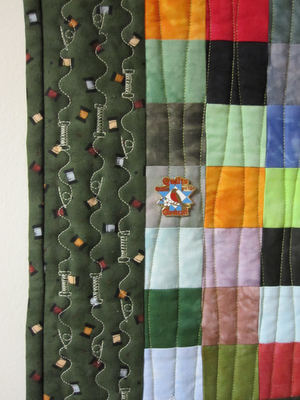 Talk about stress free quilting!! Then on the border I did some fun stitches from my machine. This is a great idea-I have soo many scraps to make something to display the pins! Thanks for the info on the magnetic hangers too.